Phoenix AZ, August 16, 2018 – Inc. magazine revealed that Clear Title Agency of Arizona, a leader in commercial and residential title and escrow services is ranked on its 37th annual Inc. 5000. 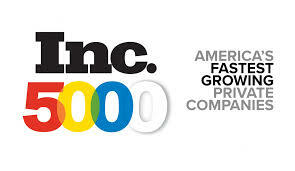 The Inc. 5000 is a list of the fastest-growing private companies in the nation. Started in 1982, this prestigious list has become the hallmark of entrepreneurial success. Clear Title’s growth during the past three years helped secure the prestigious ranking of the nation’s fastest-growing private companies. Clear Title has uniquely embraced the reality that people own the client relationships that drive revenue and has used this model to grow significantly each year since its inception in 2007. “Creating an environment where our people can achieve individual growth and nurture client relationships is undoubtedly a key ingredient to our success. And, it is why our culture attracts those who strive to always be the best, raising the standard of excellence within our industry” says Jim Clifford, President of Clear Title Agency of Arizona.